1. There have been no major terrorist attacks in Pakistan since the the Mehran Naval Base siege in Karachi in May, 2011. 2. Some 1,022 civilians have died in bomb attacks in 2011 so far, according to a report in Christian Science Monitor. Barring a late-year surge, this represents the lowest figure in four years, according to monitoring conducted by the New Delhi-based South Asia Terrorism Portal. This is significantly lower than 1,547 in 2010, and 1,688 in 2009. 3. 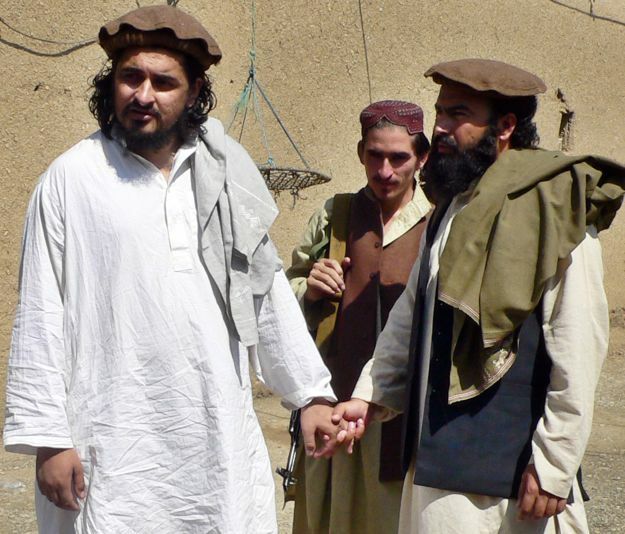 The TTP has been battered by Pakistani military operations and U.S. drone strikes. It is splintered into more than 100 smaller factions, significantly weakened and running short of cash, according to security officials, analysts and tribesmen from the insurgent who spoke to the reporters of the Associated Press (AP). In addition to the divide and conquer policy of the Pakistan Army against the Taliban in FATA, at least part of the double digit drop in terror casualties for two years in a row is attributed to improvements in policing, including removal of soft targets, said Rifaat Hussain, a security analyst at the Quaid-i-Azam University in Islamabad who spoke with The Christian Science Monitor: "They [now] have genuine difficulty carrying out spectacular attacks." The anti-terror police are now equipped with heavy weaponry including mortars, grenade launchers. Some 2,000 policemen are now deployed at more than 42 checkpoints on the outskirts of Peshawar, says Mr. Toru, the former inspector general, and arming citizens to create a community police force that can act as authorities' eyes and ears. The police are using the help of experts like Fulbright scholar and computer expert Zeeshan Usmani who has developed software models and simulation techniques to analyze and investigate terrorist bombings. Emergency medical response is also improving with knowledge and experience gained by ambulance service operators like Edhi Foundation and various hospital emergency rooms in major cities. An example is a Yale trained Emergency Medicine specialist Dr. Junaid Razzak who has set up an Emergency Medicine program in Karachi to train physicians in handling accident and terror victim injuries. Though Pakistanis have been paying a very heavy price in terms of mass casualties, it now appears that they have learned to deal with the menace more effectively, and have finally begun to turn the tide against the TTP insurgency in Pakistan. It won't be easy to end it, but there is light now visible at the end of of the long dark tunnel.